South Carolina Educational Television is a state-owned TV and Radio network that operates 11 TV and 8 radio stations throughout South Carolina, USA. Part of the Public Broadcasting Service (PBS), SCETV provides a number of educational resources to schools and state agencies, alongside regular coverage of public events. 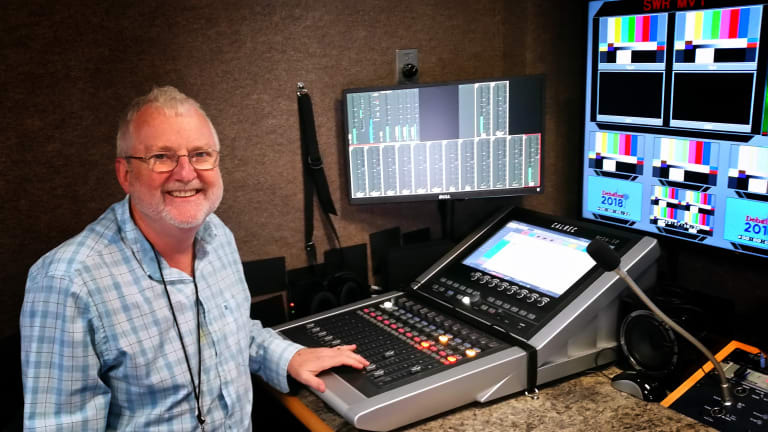 SCETV recently expanded its operations by outfitting a new 45-foot production truck, with a Calrec Brio 36 broadcast console chosen as the centrepiece. The Brio 36 was provided by Diversified, a full-service systems and media technology integration company, following on from the install for SCETV’s uplink truck, which was recently fitted with its own smaller Calrec Brio 12. The Calrec Brio 36 is equipped with two ‘AutoMixers’, which can be used when automatic level mixing is required. The AutoMixer operates by applying automatic attenuation to selected mono channels or groups (no boosting of signals ever takes place), relative to other signals within the group. For example, in a ‘talkshow’ situation, with one presenter and three guests, if all four microphones are assigned to an AutoMixer and only the presenter is speaking, the three guests’ microphones will be attenuated more than the presenter’s microphone, giving the effect of a boost to the presenter’s voice and keeping the level of the overall program constant. This method of automixing results in a mix in which the total ambient / background noise level remains fairly consistent. Find out more about Calrec Brio features with our Calrec video playlist on YouTube. Both of SCETV’s new trucks also use MADI connectivity, with SCETV opting to expand the Brio 12 for this express purpose (via one of the rear-panel expansion slots). In the larger production truck, the Brio 36 interfaces via MADI with a Grass Valley TDM router, which in turn routes via MADI to the uplink truck. Analogue I/O is used for external I/O panels on the side of both trucks. 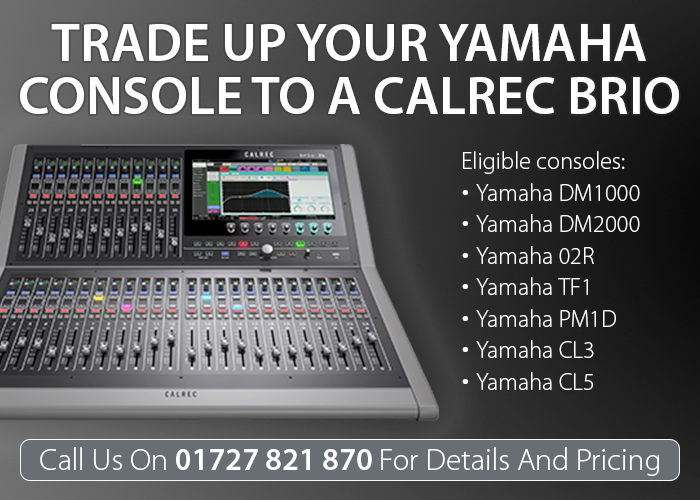 Calrec is also currently running a trade-in deal for Yamaha desk owners. 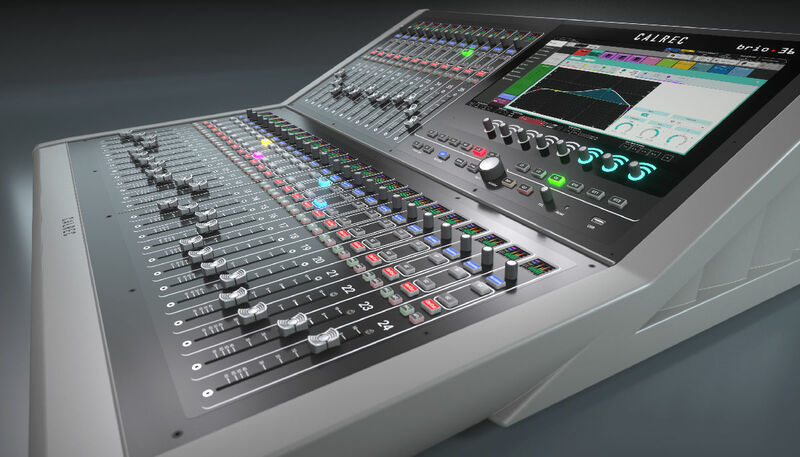 If you’re the current owner of a Yamaha console and would like to upgrade to a desk with a comprehensive, broadcast-focused feature set and options for expandability, feel free to contact us for details and pricing. Offer ends 1st March 2019. Find out more about the Calrec Brio 36 by visiting the Overview Page. If you’d like to know more about the Calrec Brio and Hydra2 network, or would like to arrange a practical demonstration, give us a call on 01727 821 870 to speak to one of our team.